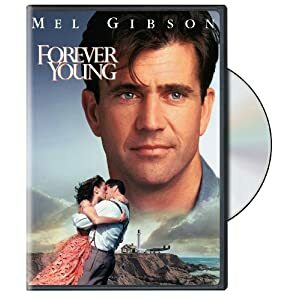 A surprise hit when it was released in 1992, Forever Young is a romantic fantasy that appeals to both men and women. The story opens in 1939. Captain Daniel McCormick (Gibson) is a young test pilot and madly in love with a girl named Helen (Isabel Glasser). When Helen goes into a seemingly hopeless coma after being hit by a truck, Dan volunteers to be the subject of his scientist buddy's cryogenic project. He gets suddenly released from his long sleep by two boys (one is Elijah Wood) in the year 1992.